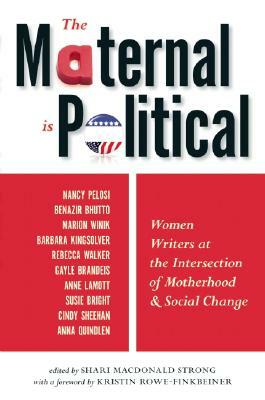 Shari MacDonald Strong is the editor of The Maternal Is Political: Women Writers at the Intersection of Motherhood and Social Change and wrote the column Zen and the Art of Child Maintenance. Her essay, “On Wanting a Girl,” appears in the anthology, It’s a Girl, and she has been published in a number of publications, including Geez magazine. Shari worked as an editor and copywriter in the publishing industry for 15 years. She lives in Portland, Oregon, with her husband, photojournalist Craig Strong, and their children: grade-schooler Eugenia, born in Russia, and preschool sons Will and Mac, born via gestational surrogacy.